"Teach And You Will Learn"
Check out my Interview with Phil!! 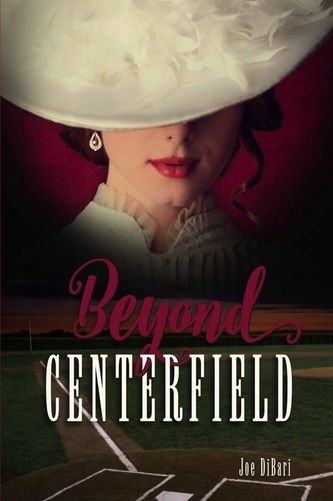 Beyond Centerfield Trailer: Are You Enjoying The Ride? "It would make a great film. Its like a Gatsby/Inception/50 shades mash-up with Da Vinci Code-esque mystery and the true underdog sports story that everyone loves." "I was wondering how this book was going to go after all the craziness of the last one. Watching Joe Able try to stuff all that craziness back into his regular life was great, though!" "I could not wait to read the second installment in this series. Joe and Hope's adventures are brilliantly narrated. You can smell the flowers, taste the food and feel the warmth of the weather on each day of their honeymoon." Joe Di Bari is an insightful writer who has a a lot to offer in both his books. This one, his newest, like 'Centerfield,' is superb! When he has a bookstore signing, I hope he feels comfortable enough to post here on my time line to alert, me, among one of his many fans, to that event! The Latest installments of the "Beyond Series"